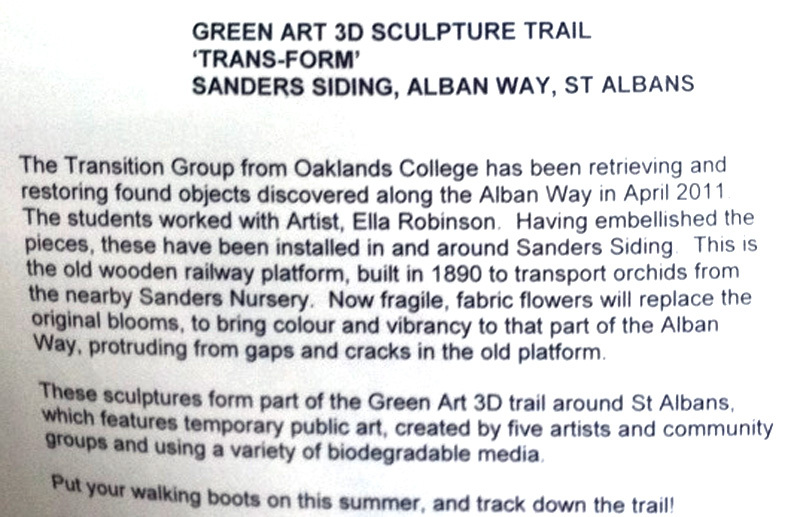 My friend Chris B had recently been coordinating an arts project in my area. 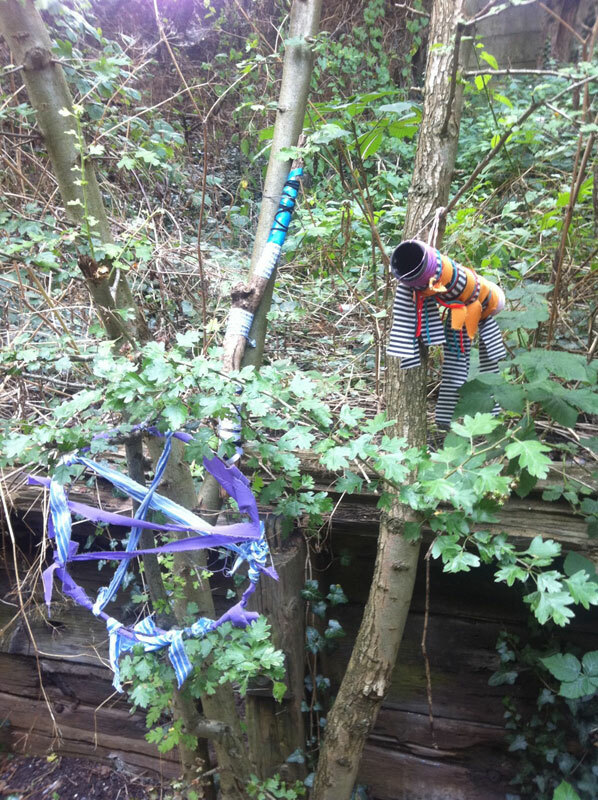 Working with a group of local students, the participants have scoured a local disused railway line (now used as a cycle track and general walking route) for lost and discarded items. 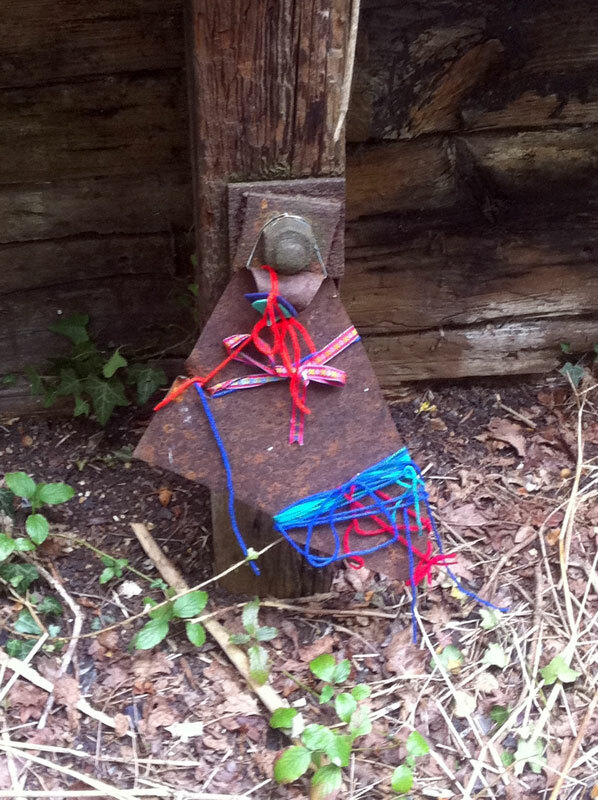 Taking these back to base, they have then adapted them, wrapping them on various brightly coloured materials, and reinstalled them back along the railway. Here are a few shots, taken on my phone so apologies for the less-than-fantastic quality! The Ships – now available online! 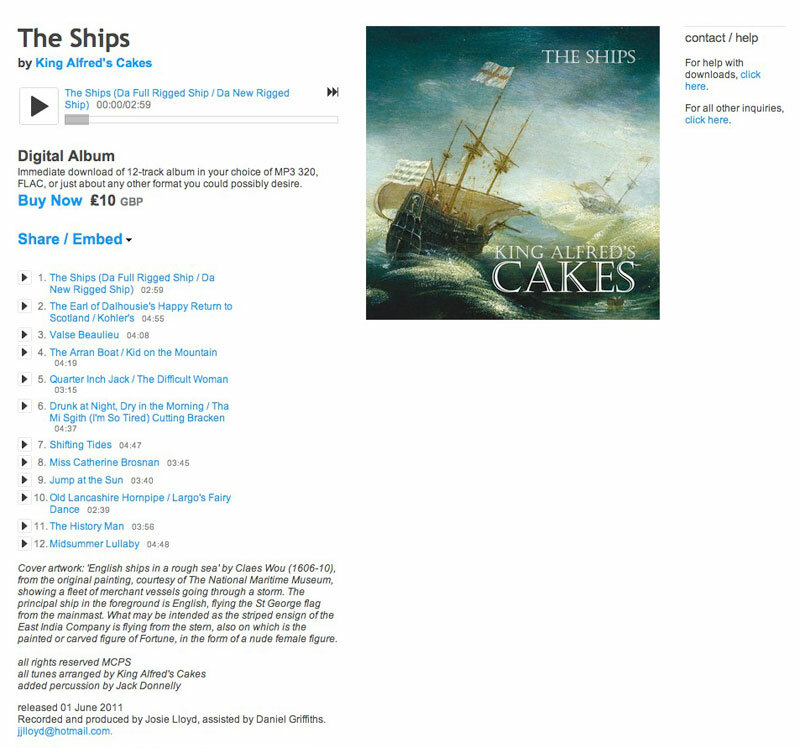 The first CD from King Alfred’s Cakes – The Ships – is now available in digital download versions via the excellent Bandcamp site. 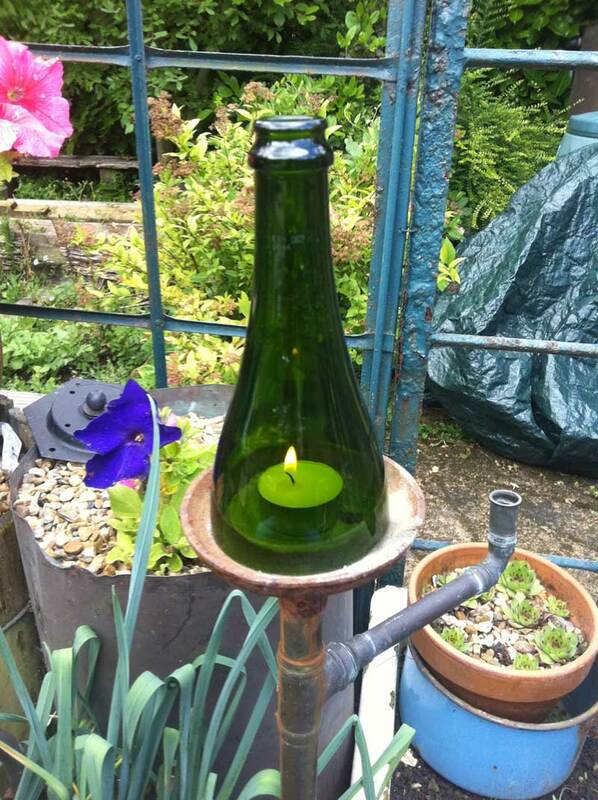 Glass bottles – finally a good use! For ages now I have been trying to find a good way of utilising glass bottles in some of my creations – they are such a plentiful resource and so many of them nowadays have really funky shapes, colours etc. Unfortunately, virtually every use I can think of involves cutting the top or bottom off in some way. I have read lots of articles on the internet about how to do this (using the burning string and bucket of water method for example) but none of them seem very reliable, often leaving ragged edges or cracked bodies. 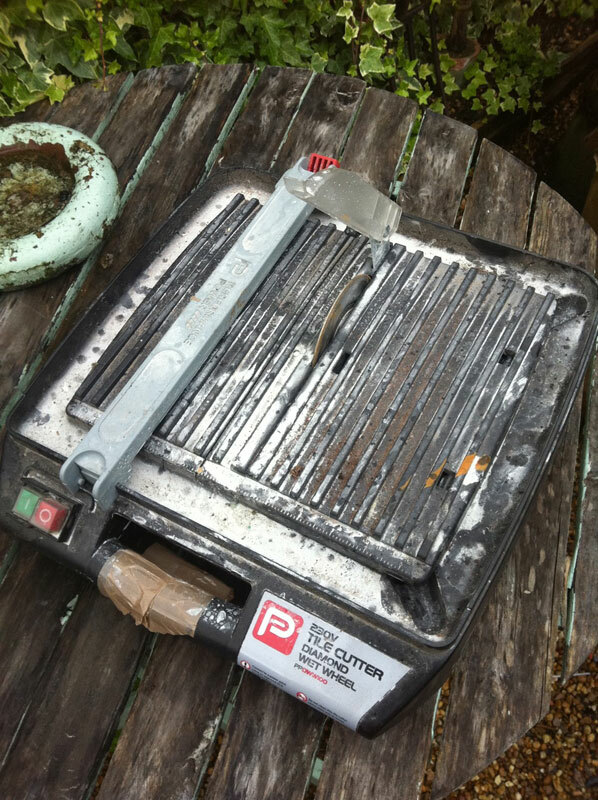 One idea I read however used a water-lubricated table saw, of the kind one uses to cut thick floor tiles etc – and blow me down if good old GG doesn’t own one! So, borrowing if for a weekend, I set to with a few old wine bottles. 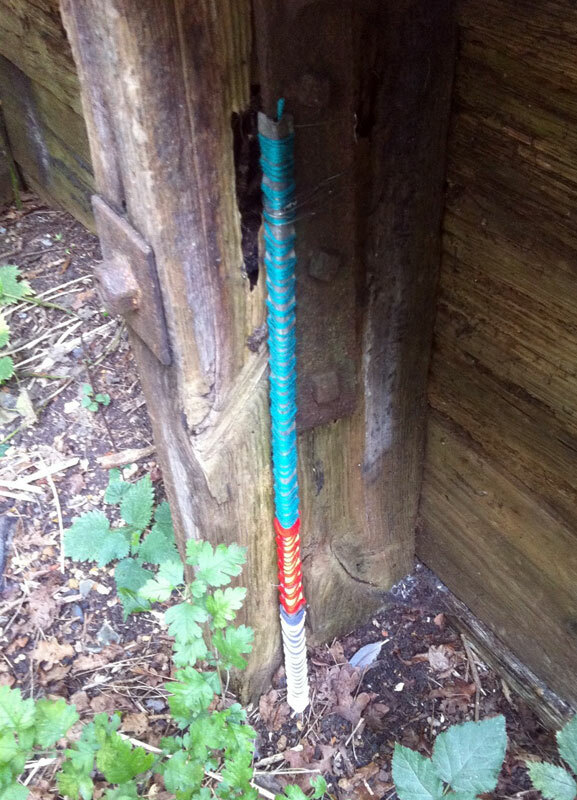 Initial results seem very favourable – as with all tools I think it is a case of getting used to handling them, using them with confidence and not cutting your fingers off! 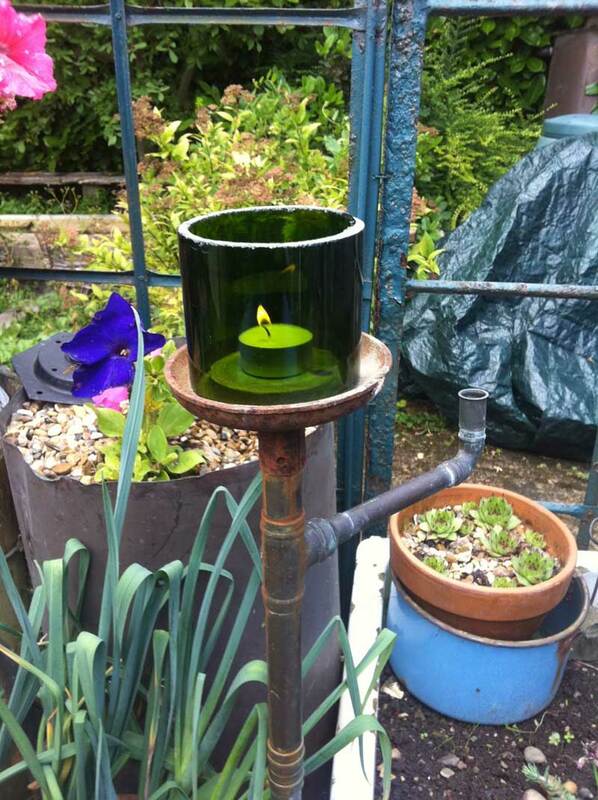 Here is a first attempt (using an old champagne bottle) and seeing whether either a section from the middle or simply the top half fitted well with one of my very old outdoor candle holders…. The saw throws up a lot of water into the face when using it – safety goggles and an old macintosh are pretty essential! The cut edges also need a bit of refining with an oil stone – you can see how rough they are from the photos. So, I’ve a long way to go with the technique and application as yet, but I’m sure that good things are to follow – the possibilities seem endless! 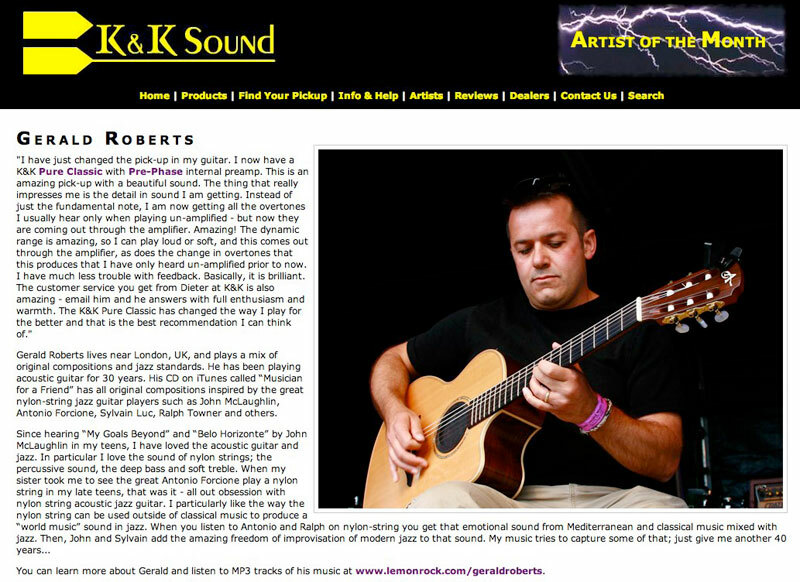 My mate Gerald, who I play with in the Batkin, Roberts & Andrews trio, has just been made ‘artist of the month’ on the K+K Sound’s website. Gerald is a wonderful player and he richly deserves more people listening to his music – result! !